Graduated from Tirunelveli Medical College – M.B.B.S Institute of Obstetrics & Gynaecology, Chennai Medical College M.D (Obstetrics & Gynaecology). Completed M.B.A(Health Care & Hospital Management) from Anna University Chennai. Obtained Diploma in Gynaec Endoscopy from Kiel School of Endogynaecology, Germany. 22 years of experience in the field of obstetrics & Gynaecology. Served as Assistant professor in Tuticorin Medical College & Coimbatore Medical College. 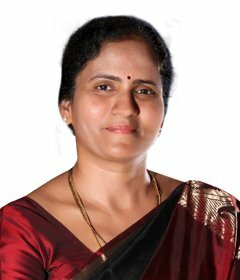 served as secretary of Coimbatore Obstetrics & Gynaec Society in the year 2004-2005, conducted various academic programmes & satellite conference. Established the department of gynaec endoscopy in GEM Hospital and served as head of the department for 10 years. Appointed as course convenier and examiner for the fellowship programme in endogynaecology affiliated to the Tamilnadu Dr.M.G.R Medical University. Presented papers and had been faculty in various national endogynaec conferences and conducted many workshops in the field of gynaec laparoscopy. Authored few chapters in books on gynaec laparoscopy. Has as the experience of more than 6000 Laparoscopic Surgeries which include. Challenging laparoscopic Hysterectomies for endometriosis, frozen pelvis and huge myomas. Laparoscopic radical hysterectomies for uterine & cervical cancer. Conservative gynaec procedures like laparoscopic ovarian cystectomy and myomectomies. Laparoscopic reconstructive surgeries like meteroplasty for congenital anomalies of uterus. Laparoscopic sling procedures for genital prolapse. hysteroscopic and laparoscopic tubal reconstruction in patients with infertility.